Posted on 23. Feb, 2010 by Corey in All, NCAA Basketball. I have been around a lot of college basketball players in my days, but Kansas State Freshman Jordan Henriquez-Roberts has the biggest feet that I have ever dealt with. 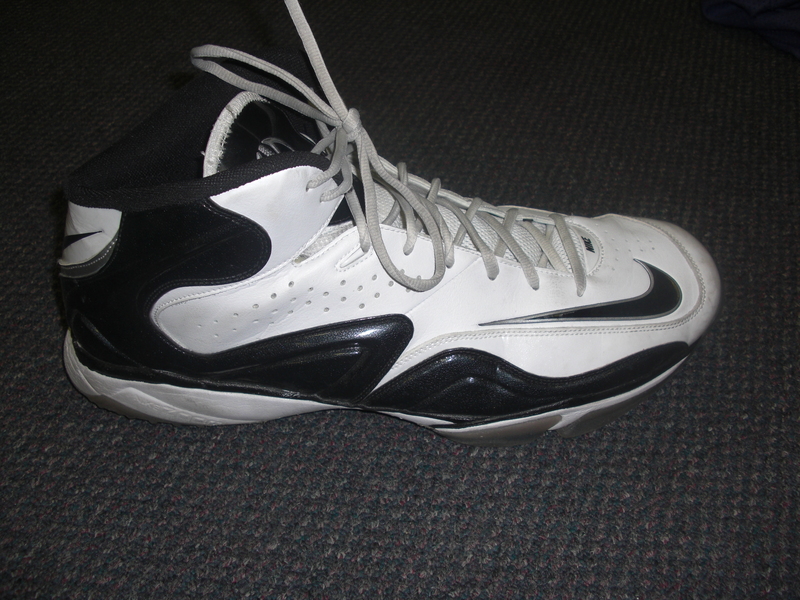 Listed at either size 18 or 19 (depending on the basketball shoe), Henriquez-Roberts looks like he is wearing boats on his feet at times. Listed at seven feet tall, he is said to have a wing span of almost seven foot six inches. Listed at 245, he looks skinny to me, making his feet look that much more out of place. But I am sure working with strength coach Scott Greenawalt, his body will catch up to his feet soon. 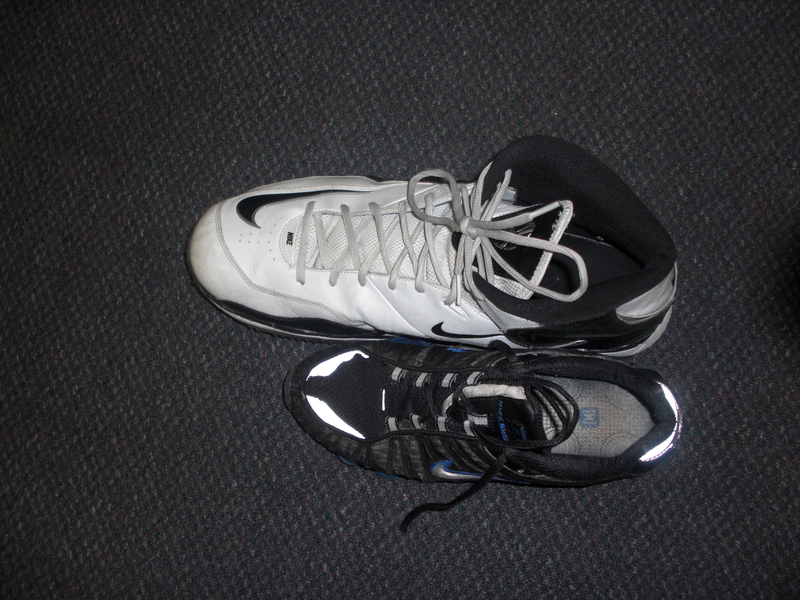 Just amazed, I had to bring you a picture of his shoe next to mine.